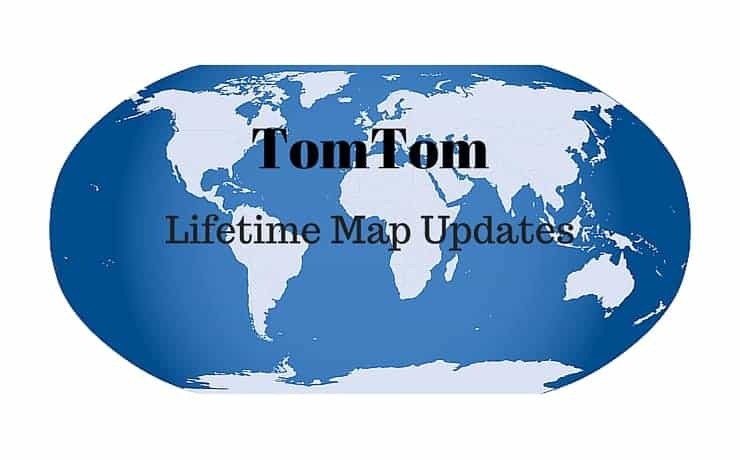 TomTom Lifetime Maps - Which Sat Nav? Map updates and the sales of different regional maps have long been a fantastic earner for GPS manufacturers. Sure enough you purchased a GPS a couple of years back and it’s great, but unfortunately the maps are now out of date. Sound familiar? Thankfully, this situation is becoming less and less the norm with the introduction of services like TomTom Lifetime Maps. 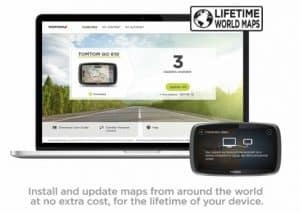 What is TomTom Lifetime Maps? This is a feature where you will receive regular map updates free of charge. You will be able to download up to 4 full map updates to your device every year. That’s one update every quarter. This will ensure that your TomTom GPS is always up to date with all the latest map updates. This means that any changes to the roads etc will be reflected on your GPS as they become available. It means that any updates to the road networks, any changes in the Points of Interest and any changes to addresses will be updated on your GPS. The Lifetime support does not refer to your lifetime but, rather to the lifetime of the device. Specifically, the updates will remain free of charge as long as the device continues to be supported by TomTom. 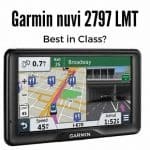 Do I have TomTom Lifetime Maps? The easiest way to see if you have a TomTom GPS with Lifetime Maps is to look at the box. If you see this logo anywhere then your in luck and your device comes with Lifetime maps included. Are the Map Updates Different? The map updates will include any changes recorded in the road networks for your particular maps. There will also be updates to the Points of Interest functions included within the software package. Usually you won’t see huge differences in the map updates when your using them. However, where they will come into their own is when road junctions have been changed or a new road has recently been opened. This will ensure that these changes are taken into account and your calculated route will be the best available. My Device Memory is Full – Help! This has been and continues to be my main gripe with the GPS manufacturers. As the maps are updated the file size also increases. This makes perfect sense however, what doesn’t make sense is that the devices themselves do not have enough memory space available to take the updated maps. Take a look at my review of the TomTom Go 500 where updating the maps literally broke my heart! If you find that there is not enough space left on your GPS for the updated maps there are a couple of options available to you. Using TomTom Home or My Drive Connect (the software on your computer) choose the maps to be used on the device. You can switch between the maps that you think that you may need for your journeys. What if I Purchase a Second Hand TomTom? Nowadays many people buy second hand or reconditioned sat navs. The Lifetime Maps feature on TomTom devices stays with the device and not the person who initially purchased the GPS. That means if you pass your GPS onto somebody else then they will be able to avail of the Map Updates. TomTom deserve a pat on the back for allowing the map updates to be passed on with the GPS. thank you very much for your article. In my opinion TomTom life maps is a very good thing, because I can remember the time, when my grandpa needed to update his old navigation device and payed around 40â‚¬. So TomTom makes that much better for the customer. Great content site with useful information. Do you know if there are apps in the IO S Store available that has the same free upgrades than the regular GPS? Some user may choose to use a cell phones instead of the GPS, also, do you know if the upgrade is available for cars also? Thanks! That’s great that Tom Tom will be making map updates 4 times a year. I’m considering purchasing a GPS in the future and it sounds like Tom Tom may be a good choice. Would you know if there is a Tom Tom app for Android? It would be cool to use this on my phone as well. Thank you! Just like you pointed out, I’ve also ran into the problem of having a full memory. You suggest to buy a new memory card, are they expensive? Any idea on where I can get them? Really like your site, I bookmarked it so I can always check it again in the future when I need more advice.